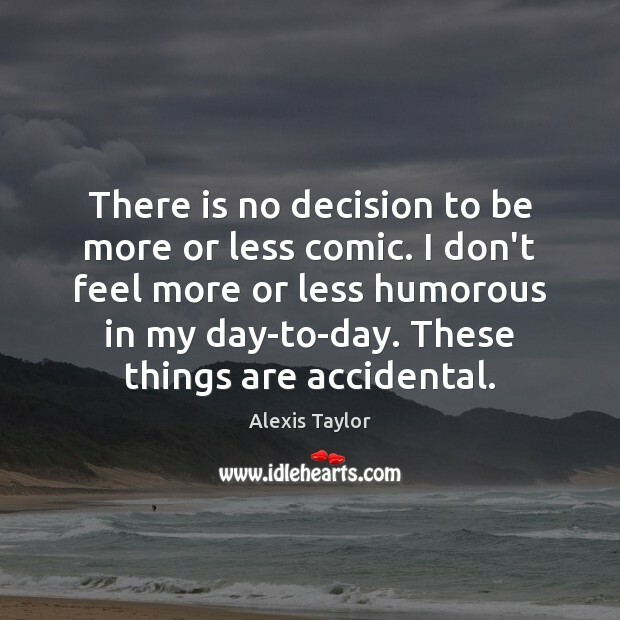 Enjoy the best inspirational, motivational, positive, funny and famous quotes by Alexis Taylor. Use words and picture quotations to push forward and inspire you keep going in life! When bands are on stage and they ask the crowd, "Are you having a good time?" 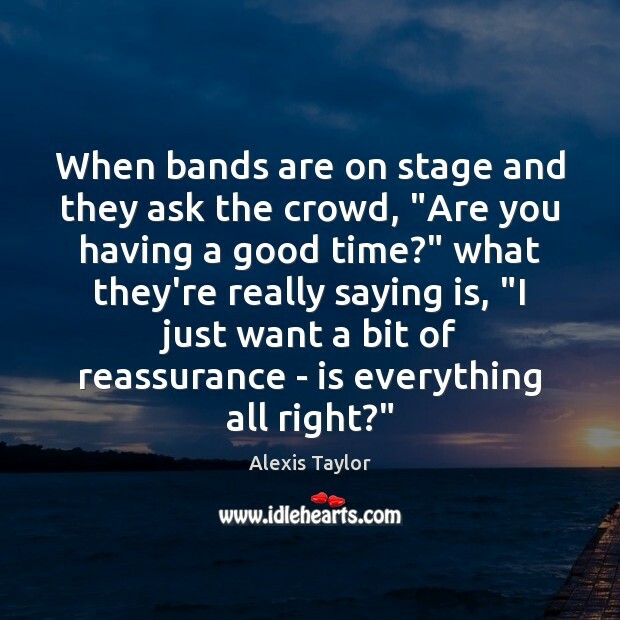 what they're really saying is, "I just want a bit of reassurance - is everything all right?" 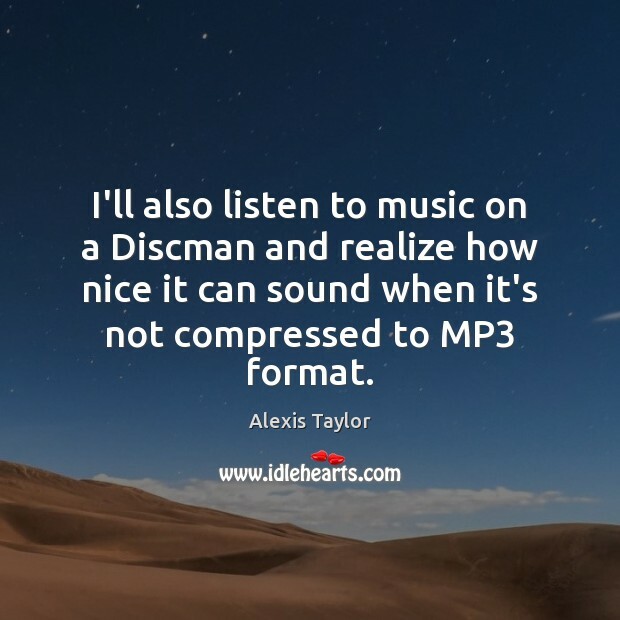 I'll also listen to music on a Discman and realize how nice it can sound when it's not compressed to MP3 format. 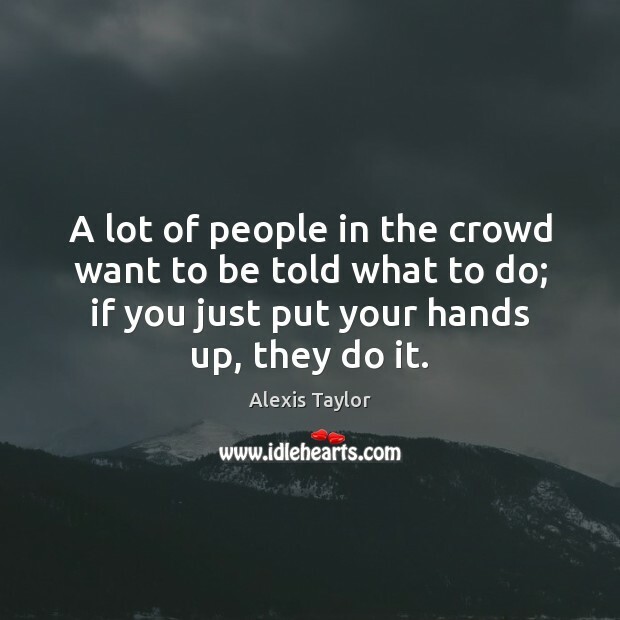 A lot of people in the crowd want to be told what to do; if you just put your hands up, they do it. 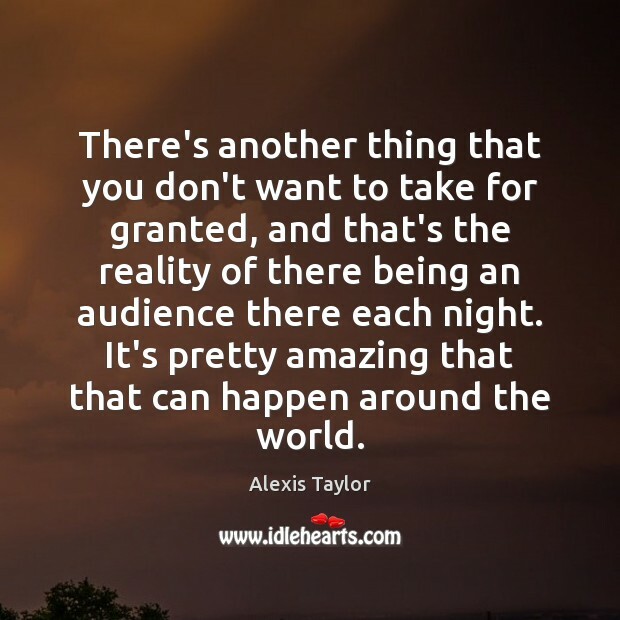 There's another thing that you don't want to take for granted, and that's the reality of there being an audience there each night. It's pretty amazing that that can happen around the world. 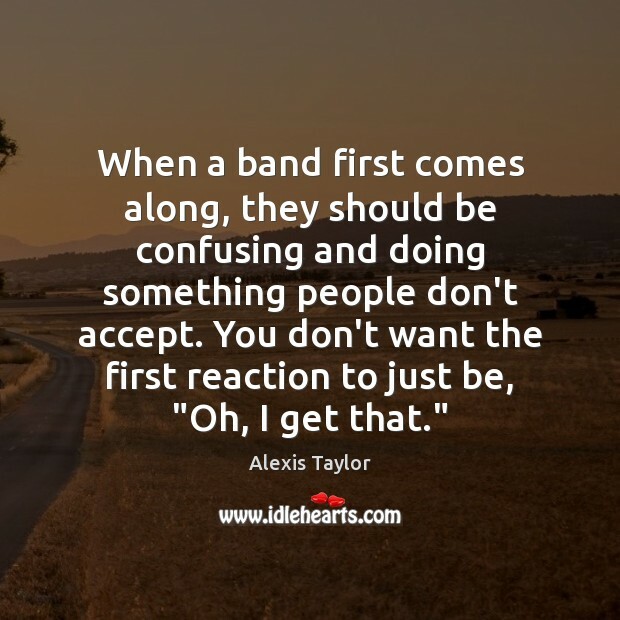 When a band first comes along, they should be confusing and doing something people don't accept. You don't want the first reaction to just be, "Oh, I get that." 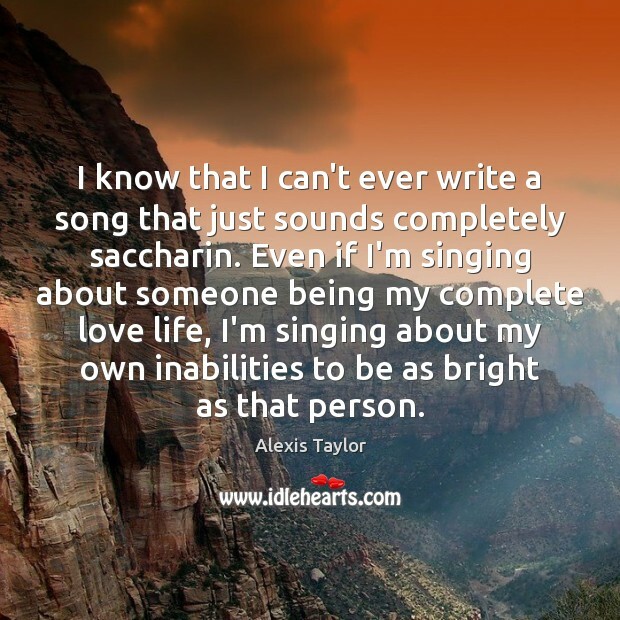 I know that I can't ever write a song that just sounds completely saccharin. Even if I'm singing about someone being my complete love life, I'm singing about my own inabilities to be as bright as that person. 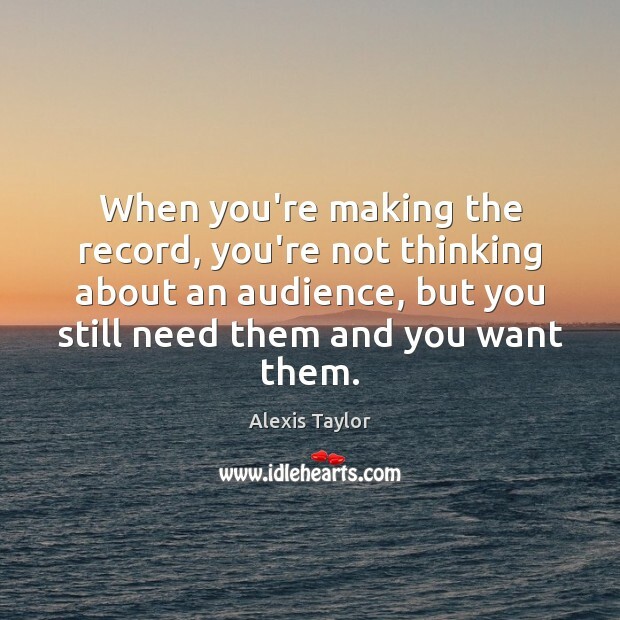 When you're making the record, you're not thinking about an audience, but you still need them and you want them. 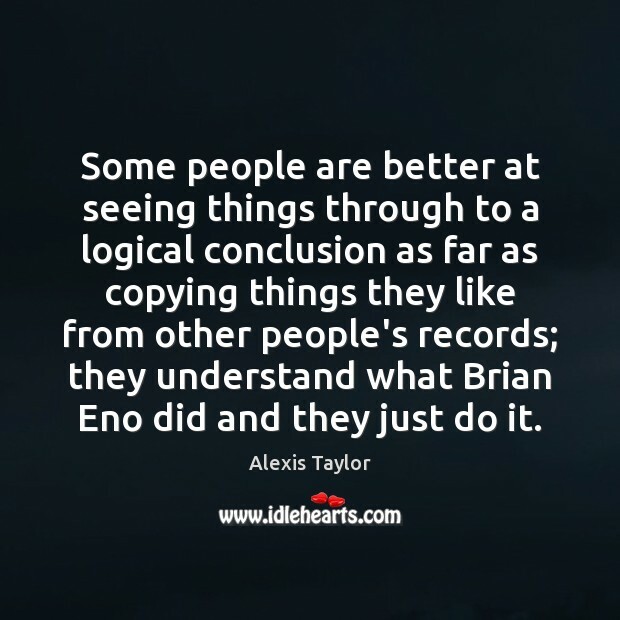 Some people are better at seeing things through to a logical conclusion as far as copying things they like from other people's records; they understand what Brian Eno did and they just do it. 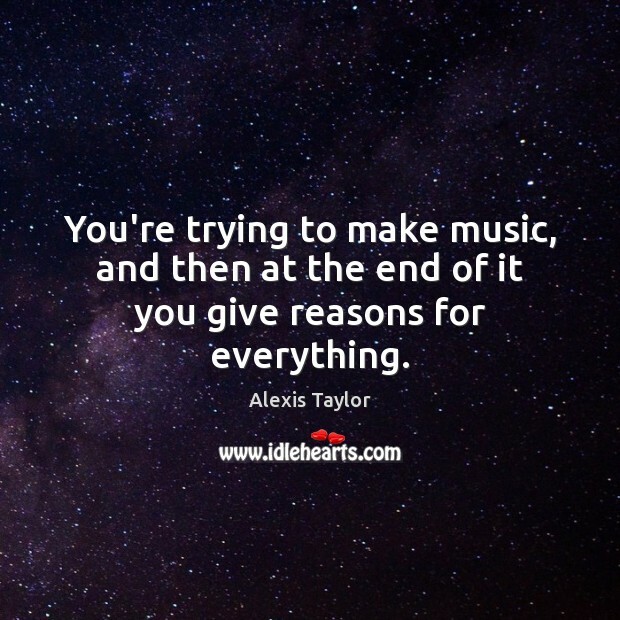 You're trying to make music, and then at the end of it you give reasons for everything. 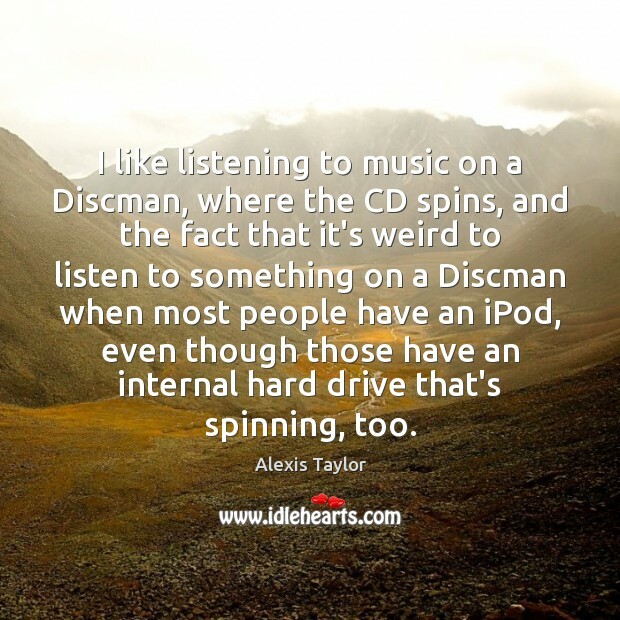 I like listening to music on a Discman, where the CD spins, and the fact that it's weird to listen to something on a Discman when most people have an iPod, even though those have an internal hard drive that's spinning, too. There is no decision to be more or less comic. I don't feel more or less humorous in my day-to-day. These things are accidental. 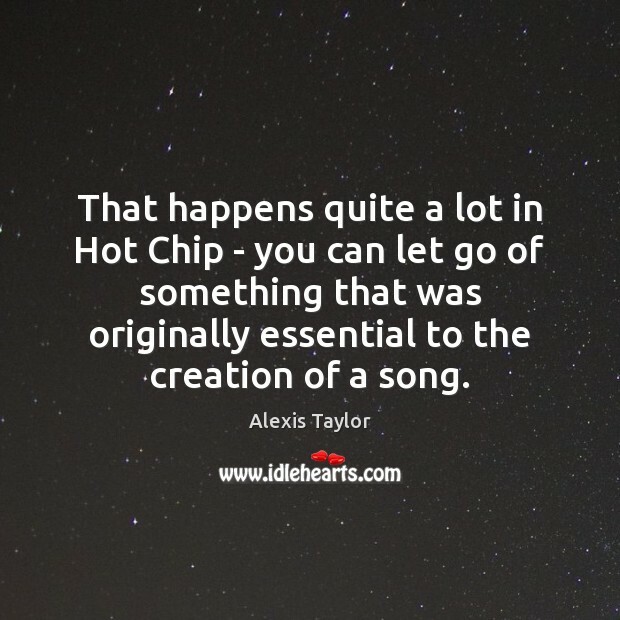 That happens quite a lot in Hot Chip - you can let go of something that was originally essential to the creation of a song. 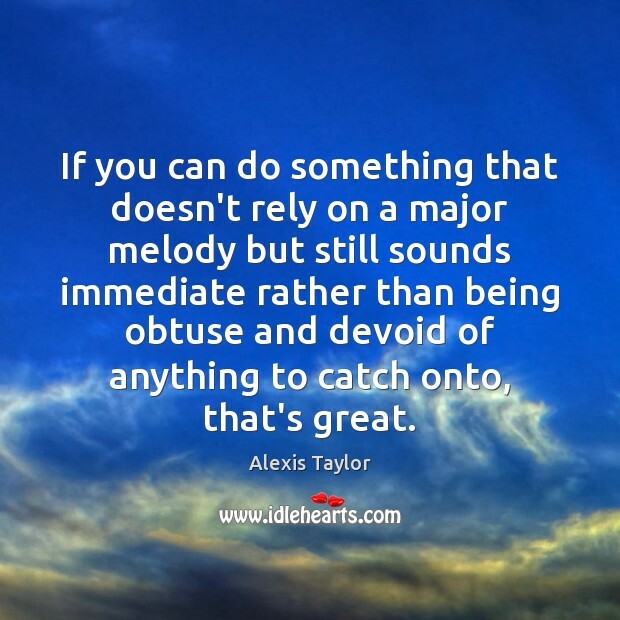 If you can do something that doesn't rely on a major melody but still sounds immediate rather than being obtuse and devoid of anything to catch onto, that's great. 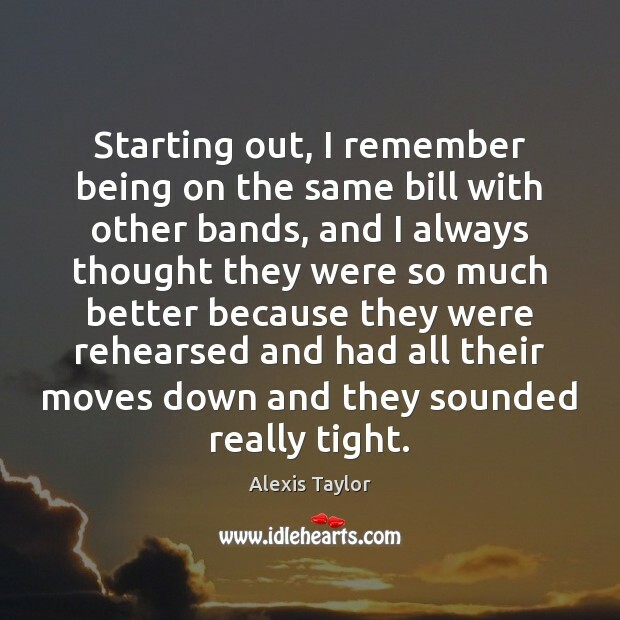 Starting out, I remember being on the same bill with other bands, and I always thought they were so much better because they were rehearsed and had all their moves down and they sounded really tight. I don't love CDs more than anything else, but I was just playing around with the idea that they could be something you're momentarily keeping hold of as everything is passing by. To stop for years and then discover that the audience is getting smaller and smaller would be demoralizing. I like the fact that everyone is nostalgic for vinyl, and I'm being nostalgic for CDs, which are like the new outdated things that no one is going to mourn the loss of - everyone's already written them off.